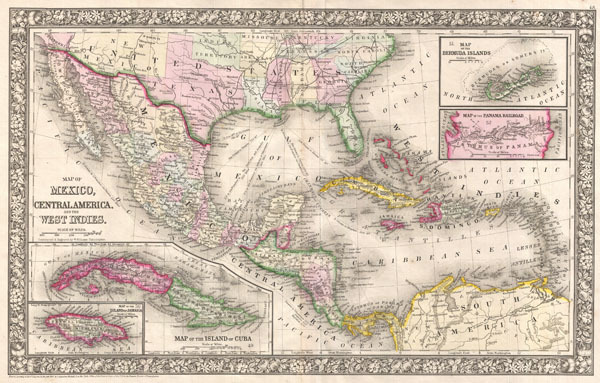 Map of Mexico, Central America, and the West Indies. Mitchell Jr., S. A., Mitchell's New General Atlas, containing Maps of the Various Countries of the World Plans of Cities, Etc. Embraced in Fifty-Five Quarto Maps. Forming a series of Eighty-Seven Maps and Plans. Together with Valuable Statistical Tables., (Philadelphia) 1866. Very good condition. Some wear on original centerfold. Else clean.